I got to go back home to La Crosse last weekend to participate in the first annual ARTSPIRE. The event had a number of artists exhibiting as well as multiple stages, food trucks and they even unveiled a mural by internationally renowned muralist John Pugh. 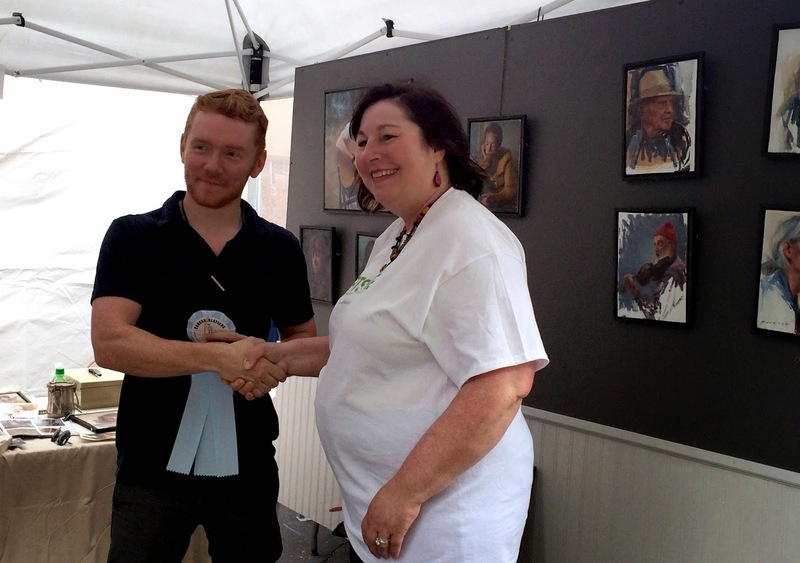 I was very honored to receive the show's top award, the Juror's Choice. The award came with a $1,000 dollar prize. Very generous for a first yeat show! It made the two days of scrambling to buy discount plywood, building a booth from scratch, and framing a tentful of artwork worth it. During the next week, I had the privilege to be asked by Mr. Pugh to help with the final stages of the mural. In all it was a very busy and eventful week, and it was great to be back home with friends and family.